* Application: V6,V8,V10,V12 and general engines. 1.With two strong support frames ,make it stable while turning engine. 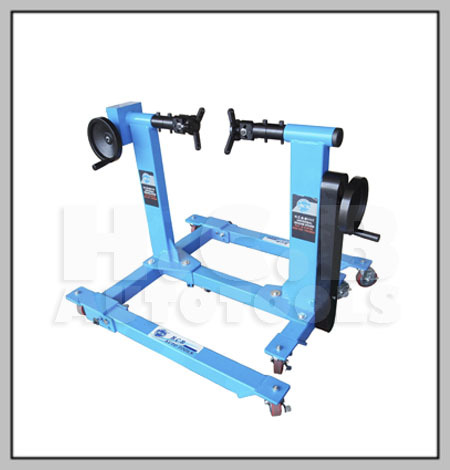 2.By turning manual rotating wheel (1),can adjust the distance between (2) and (3),save time and labor! 3.It can be any angle by using universal joint (4) and (5), applicable to any kind of engines.